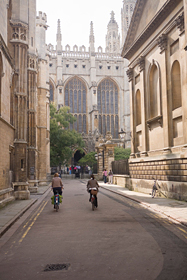 Cambridge’s local newspaper, the Cambridge News, reported on Saturday 19th March 2016, that the city of Cambridge house prices have risen faster since 2010 than any other town or city in England or Wales. According to data from the Office for National Statistics (ONS), the median price paid buyer buyers increased by 47% between the ending of quarter 2 of 2010 and 5 years later in 2015. Based on the median price paid, £360,000, higher than everywhere other than London and St Albans in Hertfordshire, house prices in Cambridge have increased by massive 414%! It is believed that the reason that London did not appear higher on the list is due to the number of small flats there with a lower purchase price bringing the average down. Plus, the same local newpaper reported on 11th March 2016, that a one-bedroomed property on Beaconsfield Road at £160,000, that at the time of publishing was on the market, costs approximately the same as Ferrari California!